Since I’m on a mystery roll, I scoured my early kindle purchases for a fun cozy mystery title. Hazardous Duty fit the bill. It reminds me of Evanovitch’s Stephanie Plum books – but subtler, cleaner, and with a smidge of God talk in there. 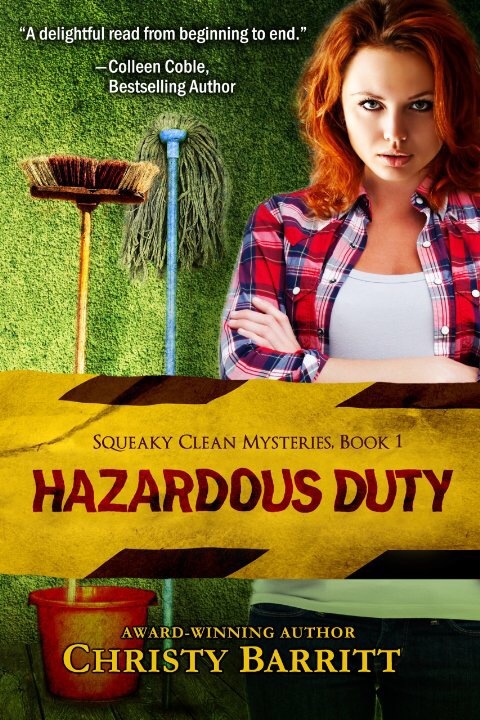 Gabby is a crime scene cleaner, so she runs into murders and mayhem all the time. Difference is, usually no one tries to kill her! Gabby tries to help a friend and solve a crime while maneuvering around politics and a dirty politician. Between trying to save her own life, spending time in her apartment house of quirky friends, and trying not to fall in love with a man anything like her loser dad, Gabby is a little bit scattered and a lot scared! Thanks to two new friends who happen to be male, good-looking, and on the right side of the law, Gabby makes it to the end of the book alive. On her way, a little seed of faith is planted, and I can’t wait to see where it takes her in Book 2. This is a deal at 99¢, and so good that I gladly paid $10 for book 2. 🙂 Yes. I did.